Getting outside with a toddler can be stressful. They shun pushchairs but hate walking more than five steps. They want to get to their destination but get distracted by every little thing you find along the route. I have to be honest with you. Sometimes, actually a lot of the time I keep Fred at home, we stay in the garden or venture to the park nearby but I've always felt really guilty about it. You see we live in the most beautiful part of South Wales. We have amazing countryside on our doorstep, the coast within half an hour. Also, I'm a country girl at heart. I love nothing more than a walk on the lanes so when VTech contacted us and asked if we'd like to trail their V-Tech in 1 Stroll and Grow Trike, I jumped at the chance. The trike itself was really easy to put together. I did it myself and i'm not a DIY genius. All the parts were marked well and you needed minimal tools to get this trike on the road. 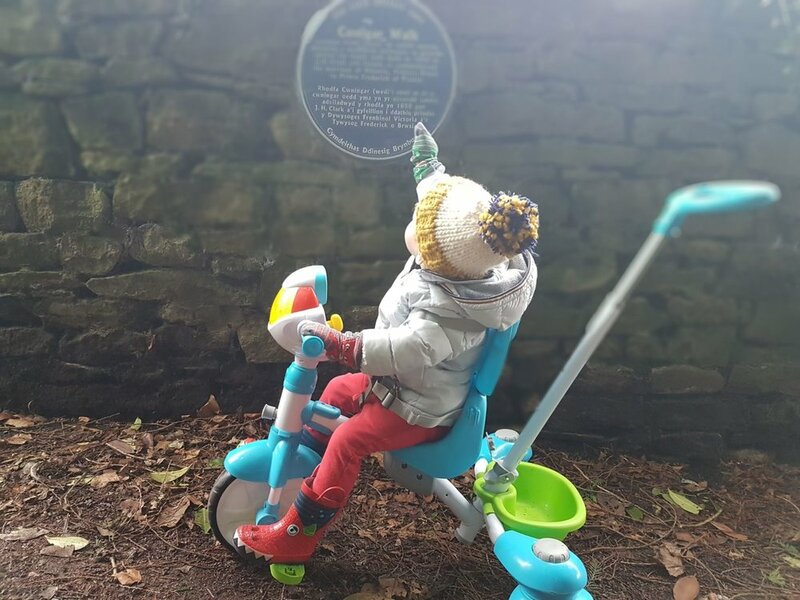 Fred is 2 years 4 months and quite tall for his age so I kept the steering handle on the trike but I didn't fit the foot plate so that he could get used to the pedal motion which will stand him in good stead for when he's a little stronger. The first plus point for the VTech 2 in 1 Trike was how excited it made Fred. He was so keen to get out of the house on our walk that he let me put his coat and hat on without the usual half hour battle/wrestle that we do on an almost daily basis. The new Trike had really piqued his interest and we got out of the hose with ease - this alone is every parents dream. We took out trike out on a local route in Goytre. The ambitious part of me wanted to make it to the cafe (hello hot coffee) but I knew if we didn't make it that far with our trike, I could still say we'd had a nice walk out. The trike wheels can be locked into a fixed position or you can control the back wheels with the handle. It took me a while to get used to the steering on the trike but this is in no way a fault of the trike itself. Once you get your head around the way it handles and steers you are good to go and I've since been able to explain it to the grandparents in a sufficient manner to get them to feel confident hitting the roads. The trike also has some longevity in it and It is suitable from 9 months old and grows with your child until they are around 6 years of age. I loved that the trike was so bright and vibrant, in colour. It's really eye catching and their are enough bits and bobs on the interactive control panel to keep little hands occupied when they get a little bored. Fred absolutely loved using his indicators when I tell him we have to turn left or right and this interaction helps him forget he's being wheeled somewhere. The handy bucket at the back is perfect for a small bag or toddler drink/snack pack. No need to sacrifice the snacks and you can still be hands free for your trike journey. We followed a path that was quite rural and I had no trouble navigating different terrains with the trike. It handled the countryside conditions with ease. I also found it really easy to clean off afterwards which is always a bonus. VTech asked us to provide details of our rote so that other trike users in the area could follow a similar path. 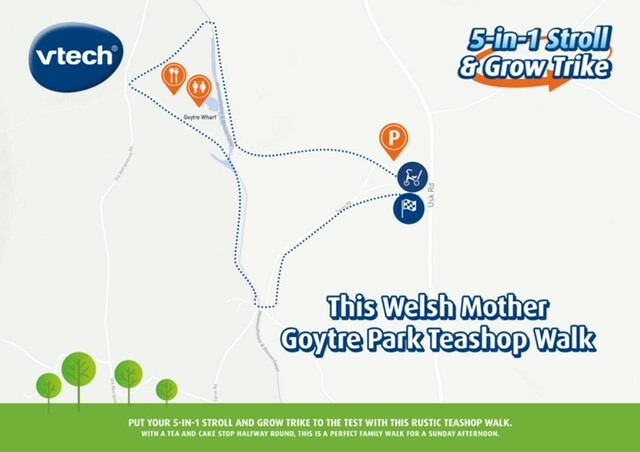 You can find our route detailed below. 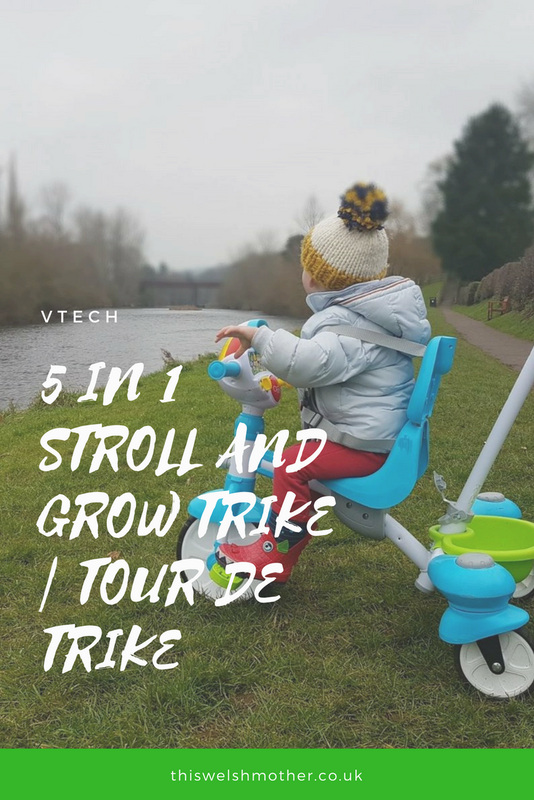 I have personally reccomended this this VTech trike to many of my fellow toddler mums. Not only is it robust and easy to assemble/use but I genuinely feel you are going to get a lot of use out of it. It is suitable for many kinds of terrain and is priced at £109.99, which I think is well priced when you consider getting more than just a years use out of it. More than just being an interesting toy, it's actually enabled me to get out a bit more. As I mentioned above, Fred will flat out refuse a pushchair but he does allow us to take him out of the trike. We've also got used to taking it 'for a walk' meaning he pushes it with my help til he gets tired. Hardly ideal but we make the best of it and put the trike to good use when his feet have had enough.